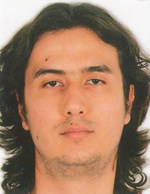 Ertan Umit received BSc from Gebze Institute of Technology in Turkey on Electronics and Computer Engineering. Then he received his MSc from Istanbul Technic University on Astronautical and Aeronautical Engineering. Currently he is studying for his PhD at Istanbul Technic University. In 2011 he completed the first CanSat Leader Training Program at Wakayama University. That year he also shared the stage with other 9 MIC finalists. He worked on several satellite projects including ITUpSAT1, Delfi-NEXT and TURKSAT3USAT. As of 2014 he works as a system engineer on QARMAN project at Von Karman Institute for Fluid Dynamics in Belgium. © 2018 University Space Engineering Consortium, all rights reserved.